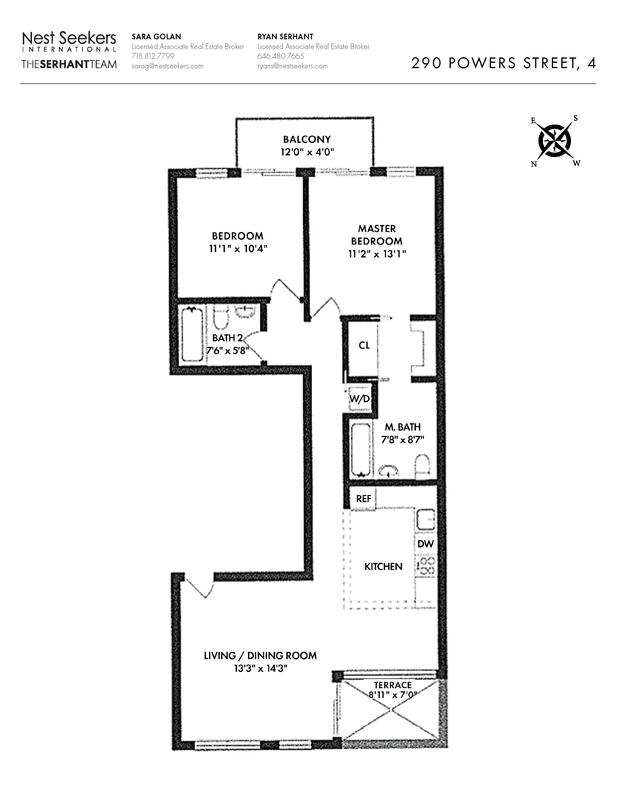 290 Powers Street, #4, Brooklyn, NY, New York 11211. 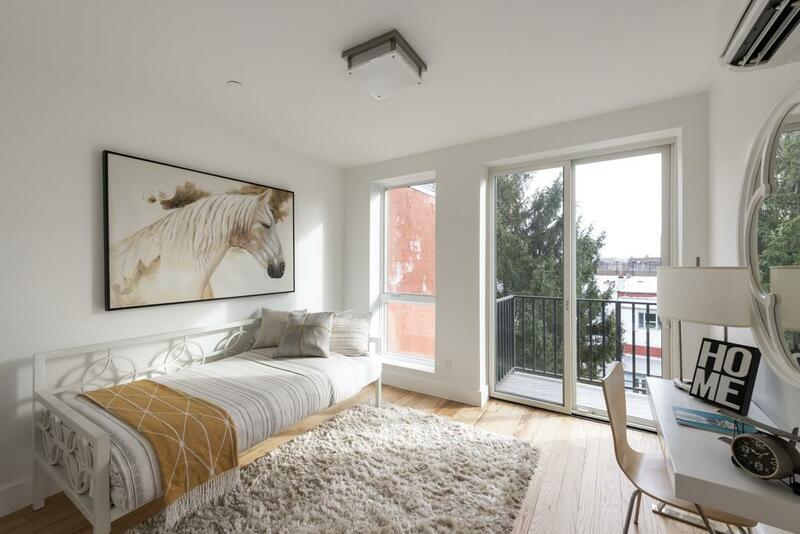 A fantastic two-bedroom with a private balcony, terrace and a 1110 SqFt Roof-deck! 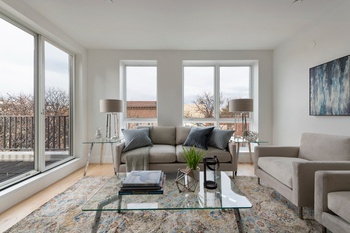 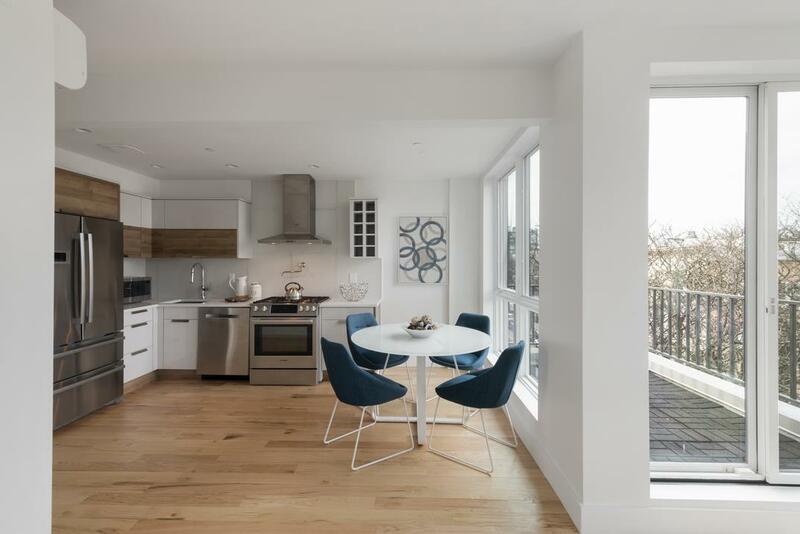 Unit 4 is a two-bedroom, two-bathroom home with two double exposures, private terrace and a private balcony. 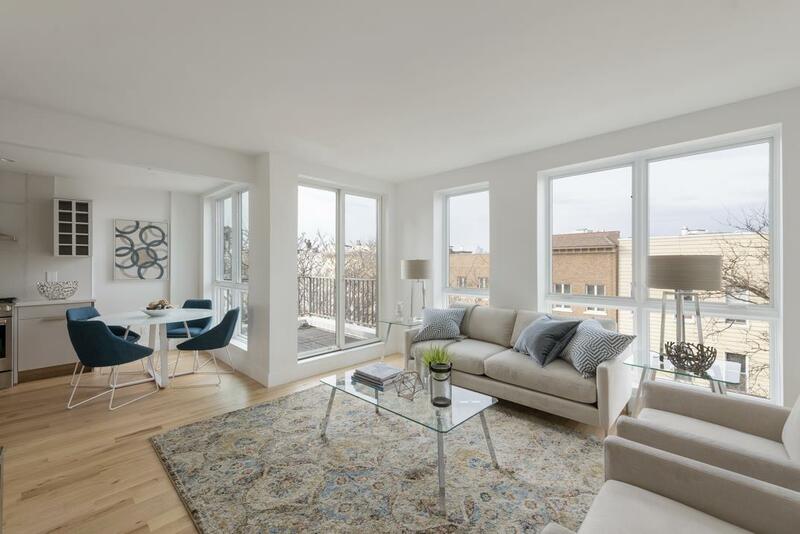 As soon as you walk into the apartment, you will encounter a beautiful living/dining room with three large windows looking over green tree-tops and Empire State Building views. 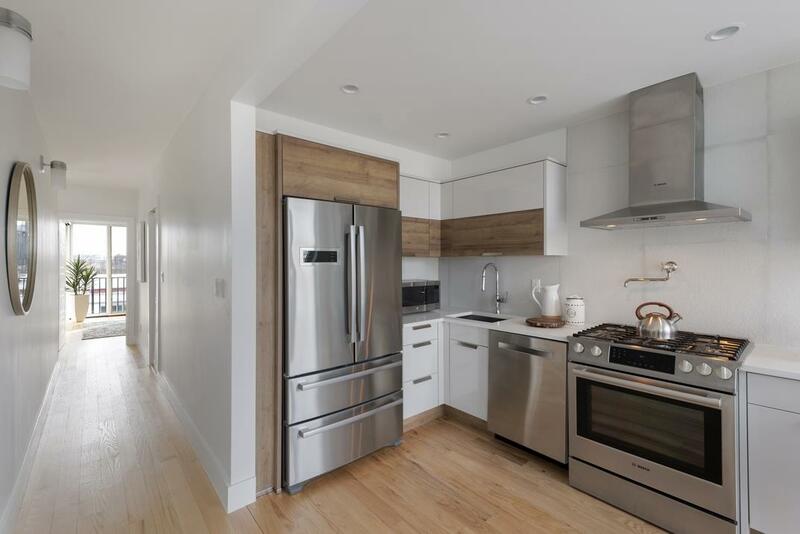 The open kitchen includes Caesarstone countertops, modern sleek cabinets and Bosch stainless steel appliances. 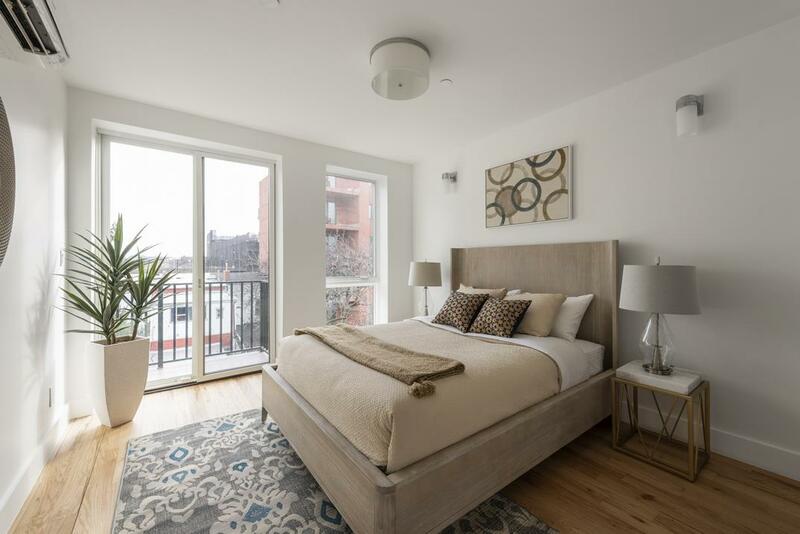 Two large bedrooms with excellent closet space and two full bathrooms are located in the rear of the apartment to provide maximum peace and quiet. 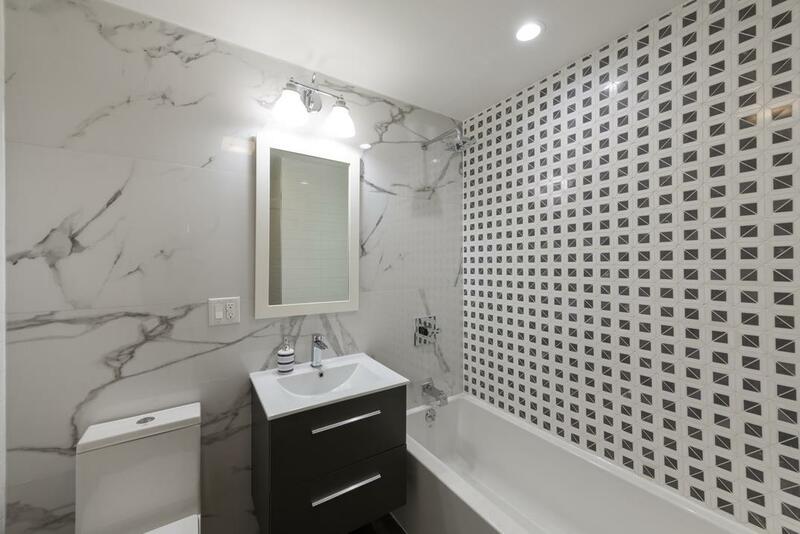 Elegant finishes, along with a state-of-the-art washer/dryer and a Mitsubishi heating/cooling system complete this true gem of a property.